How To Get Rid Of Dark Underarms Using Home Remedies? How To Take Care Of Your Dark Underarms? Looking for organic or the best products to keep your face, hair or skin healthy and glowing! But do you look after your underarms with equal care? Yes, this is a commonly committed mistake not only by the women, but also by the men. The sensible part of your body, underarms, is mostly neglected and hence, it results in dark underarms, or harsh skin texture. Hence we bring here the article on how to get rid of dark underarms! Love going sleeveless with spaghetti straps! But embarrassed due to dark or shabby underarms! Yes, this is the problem faced by many women out there. This also limits your wardrobe selection. And hence, just as you look after your face, you should also be equally caring for your armpits. Have you ever thought why your armpits are darker than your skin tone & how to get rid of dark underarms? Here are a few reasons which might answer your question. 1. Do You Shave Your Armpits? This May Lead To Dark Underarms. In case your armpits are already dark, shaving them would make the color tone darker. While shaving your armpits, you only deal with the cutting and removal of the unwanted hair. The reason of the darkness of the armpits is the hair follicles, which are still there under your skin layer after you shave. This may also harden your skin there, or cause irritation if a proper sharp razor is not used. Hence, shaving is definitely not a good option for dealing with the armpits. 2. Are You An Admirer Of Deodorants? This May Harm Your Skin Tone At The Armpits. People are widely using deodorants and antiperspirants to protect themselves from bad odor. These products may give you a good odor throughout the day, but the chemicals it is formed from is capable enough to darken your armpits to a great extent. Even using mild deodorants would be harmful to the skin there and hence, this would lead to dark patches. 3. Have Dead Skin Cells Made A Homespun There? Nearly each part of our body produces dead skin cells. All these cells accumulate in a certain part of your body, mainly the underarms. And hence, this leads to darkening of the underarms. 4. Are You Suffering From Hyperpigmentation? This Can Lead To Dark Underarms. A harmless problem, which is commonly faced by many people is hyperpigmentation. In this condition, some of the skin spots get darker than the other neighboring skin. This happens when the pigment melanin, gets deposited on the skin. There are people who have this problem at their armpits also. 5. Do You Wear Tight Clothes? This May Lead To Dark Underarms. Wearing tight clothes would cause a friction between your underarms and the clothes you are wearing. The result of this friction would be discoloration due to the sweat in your armpits. As a result, your underarms would get darker in color. 6. Having Hormonal Imbalance! It’s One Reason For Dark Underarms. Acanthosis nigricans, is also one among results of hormonal imbalance. This situation occurs when you get dark thick patches on your skin, which usually get deposited in your armpit, surrounding your moles or neck. You would visualize dark black or brownish patches, making your underarms dark. Underarms is one of the major places for sweating. Henceforth, it is the perfect place where bacteria can grow and develop well. This bacterium, also known as Corynebacterium minutissimum, results into excess sweating and bad odor. Another effect of this bacterium is a chronic infection, which takes place under the deep layers of the skin leading to dark patches known as erythrasma. 8. Are You A Chain Smoker? Beware, This May Lead To Dark Underarms. Excess smoking of tobacco leads to a condition known as smoker’s melanosis. This condition leads to a kind of pigmentation, which has a focus on the underarm areas. The darkening of the underarms would continue until you don’t quite smoking. Melisma is a conjoint skin disorder. The disorder is generally visualized as dark patches on underarms, or on the skin. These patches develop to the part which is exposed to the sun, and hence, this disorder widely affects the women. When damage is caused to your adrenal gland, you might face a disease named addison’s disease. A common symptom for this disorder is the darkening of the underarms due to hyperpigmentation. 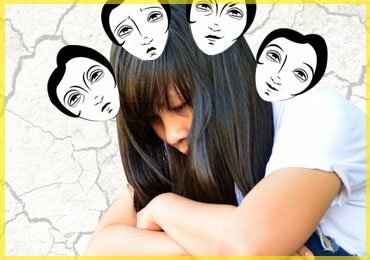 The disorder is commonly found in people between 30-50 age limit, mostly in women. Hence, above are the various problems leading to the dark patches on your under arms. It is, thus, recommended to visit a doctor, before you begin with any kind of treatment for getting rid of the patches. The skin around your underarms is quite delicate, and hence, it requires special care to keep it clean and hygienic. Here are tricky ways to look after your super sensitive pitters. Having hair in your underarms would lead to friction along with the clothes your wear and the skin there during sweating. To avoid this, it is recommended to remove the unwanted hair from there at regular intervals to keep your underarms smooth. There are three ways to deal with the hair removal process; shaving, waxing and laser treatment. Shaving is said to be an instant process using any kind of razor. 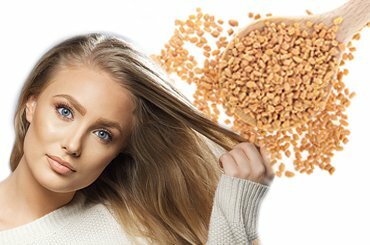 This process removes the hair only from the upper surface, as the inner ones remain untouched. Shaving would lead to growth of the hair in any direction, and hence, a process of exfoliation needs to be carried out before shaving. You can also use any of the hair removal cream available in the market, which would give similar results as shaving. However, using creams might darken your underarms as they are chemical based. In both the cases, the hair would grow back in few days only as they are not removed from the roots. Another option, highly recommended than shaving is waxing. Waxing would help you in getting rid of the unwanted hair for several weeks, and would also work on the dark patches there. It is a highly effective way to deal with clean and smooth underarms. A new technique of removing the unwanted hair is through laser treatment. With the help the laser technology, you can now get rid of the hair, forever after nearly 6-10 sessions. Although this treatment would cost you much more, but it would slowly clear your growth and give you clean and soft underarms with less dark spots. 2. Does Your Underarm Give A Filthy Odor? Make Sure You Fix This Problem Soon. Yes, having sweaty underarms giving a bad odor would surely make you embarrassed while you are in public. To get that smell away, you need to stop that sweat from reaching you. For this, you need to develop a hygienic lifestyle. Make sure you have a shower daily, if possible twice in a day. Using an anti-bacterial soap for your underarms would surely help you keep it clean. After the shower, use a towel fully to clear up the underarms, without leaving any kind of moisture there. Leaving moisture develops bacteria leading to darken pitters. The deodorants and antiperspirants are also beneficial in keeping that bad odor away from you. However, they should be used in a limited quantity. Using a deodorant which includes aluminum chloride will reduce the sweating. 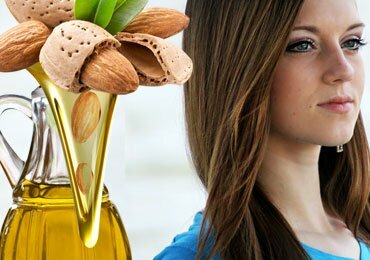 Go for mild ones while selecting the best for your skin with reduced odor. You can gently go for strong ones, and if they don’t work, contact a doctor for the best-prescribed antiperspirant for yourself. While selecting clothes, go for materials like cotton, silk or wool. These materials have the tendency to control and absorb sweat from the underarms. Also, make sure the clothes are loose in fitting around the underarms portion. Tight clothes may lead to sweating, irritation and other bacterial effects due to frictions. It is also recommended to change your clothes and wash them properly. While washing the clothes, use mild detergents, which would get easily washed away leaving the material smooth. Also, as they get washed out easily, this would reduce the chances of bacterial infections due to detergents. Avoid wearing the same outfit for 2-3 days, as the moist in the clothes would breed bacteria, which can be harmful for your underarms. The garments worn for workouts should be made of high-tech fabric, that would engross all the sweat and moist at your underarms. The garments should also be washed on regular basis after workouts to keep them clean and hygienic. There are various reasons for the darkening of the underarms, as mentioned priory. The main cause from all is the exposure of the pitters to the UV rays from the sun. These rays produce pigment, which destroys the color of your underarms. You can use waxing, which would help you in getting rid of the dark spots slowly. You should also avoid wearing clothes that might lose color when it comes in contact with your sweat in the underarms. The color would surely damage your underarms as it contains heavy chemicals in a good proportion. You can also use lemon juice to give them their natural color. There are certain masks available in the market, which help in getting the natural skin tone of the pitters. While, there are also some homemade packs or suggestions, which work out in short or long terms for solving your color problems like, potato and cucumber, saffron mixture, sandalwood and rose water, whitening scrubs, etc. This are the four main aspects, which can help you in getting those smooth silky underarms, which is also the best way to look after them. 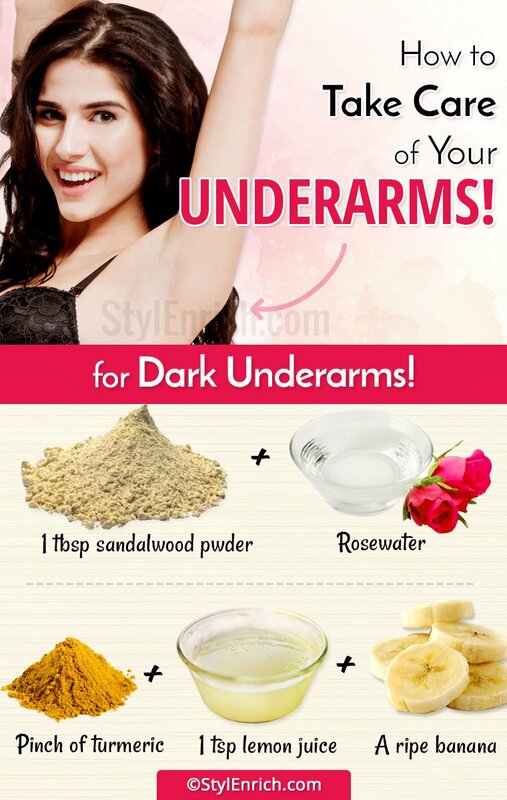 Here we have seen some guidelines to look after your dark underarms. In the fFurther section, we will see how to get rid of dark underarms. Take some baking soda and add lemon juice to it. Mix well and apply the mask to the underarms. Wait till it dries. Wash it thoroughly. Take a potato slice and rub it perfectly on the underarms. You can also take the juice of the potato and apply it to the underarms. This would give you a bleach like effect instantly. Take a tablespoon of sandalwood powder. Add some rose water and mix well forming a smooth paste. Apply it and leave it for nearly 15-20 minutes. Wash and pat dry leaving no moisture on it. To make a scrub for the underarms, mix a tablespoon of lemon juice, a teaspoon of honey and powder of walnuts in a bowl. Apply the scrub on the pitters and leave it for nearly 20 minutes. Now massage the paste and remove it using water. Pat dry. You can also replace walnut powder with peanut powder. Take a ripe banana and mash it properly. Mix the mashed banana with a teaspoon of lemon juice and a pinch of turmeric powder. Apply and leave it for 20 minutes. Wash and dry well. Replace your deodorants with anti-fungal powder to avoid darkening of the skin. Grate a cucumber and get the juice out of it. Apply it on the underarms and leave it for minimum 15 minutes. Wash away well. Avoid using powders, creams and ointments on the underarms in case of rashes. This may clog the pores leading to hindrance in perspiration. The underarms, also known as the pitters, pockets, armpits, etc. are a crucial and sensitive part of the body, and hence it is necessary to look after their cleanliness just as you look after a small infant to avoid any kind of problems. So, next time you shop for a product for your underarms, make sure you look at what it is made from. Avoid using harsh products, that might damage your skin tone there or give your unbearable rashes. Instead you can go for organic products or homemade packs, which are safe to use. Go for organic deodorants, free from any kind of chemicals for a smooth and soft armpit. Look after your pitters well, and go flawless and sleeveless with bright tone underarms this season. 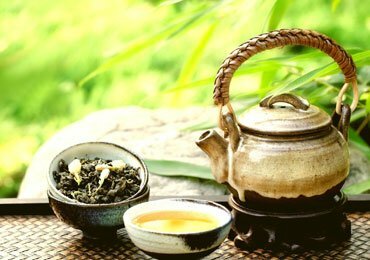 Health Benefits of Green Tea That You Must Know! 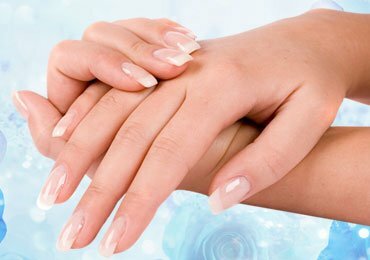 Hands Care Tips : Home Remedies for Dry Cracked Hands! 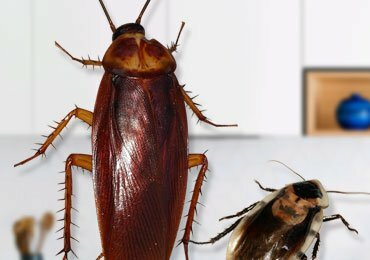 Simple Household Tips to Get Rid of Cockroaches in Kitchen! 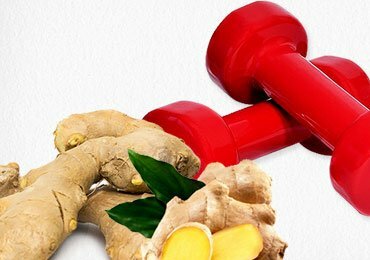 Use The Wondrous Ginger For Weight Loss! 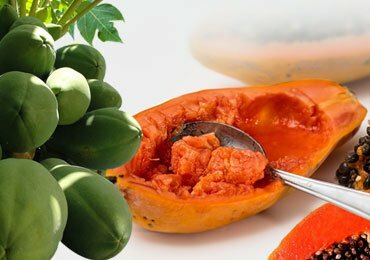 Papaya Treatment : Do You Know Papaya Can Give Your Skin An Amazing Glow? 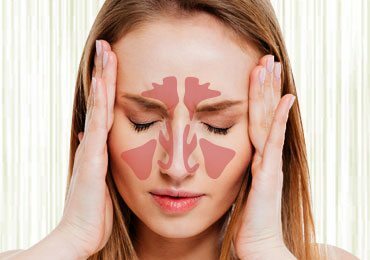 10 Home Remedies for Sinus Infection That Gives You An Instant Relief! 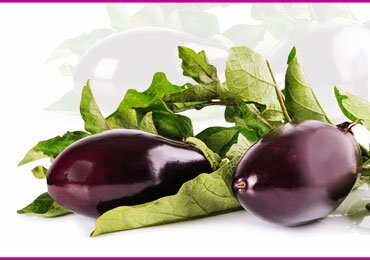 Eggplant, A Superfood: Benefits & More!